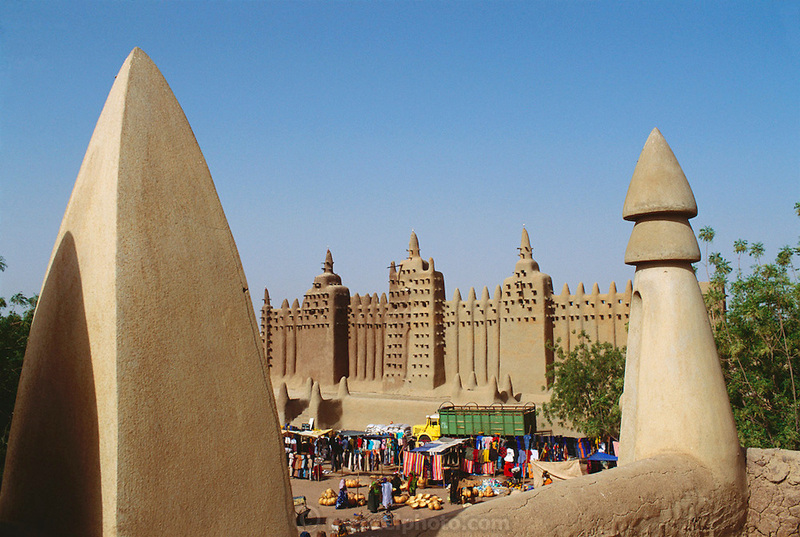 The mud-walled Great Mosque in the African city of Djenne, in Mali was built decades ago on the ruins of a 13th-century mosque. It is often a location for temporary markets and sales people. Material World Project.